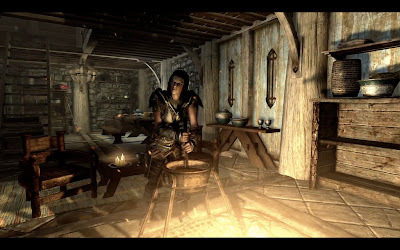 7 days untill the release of Elder Scrolls V: Skyrim for PC, Xbox 360 and PS3. 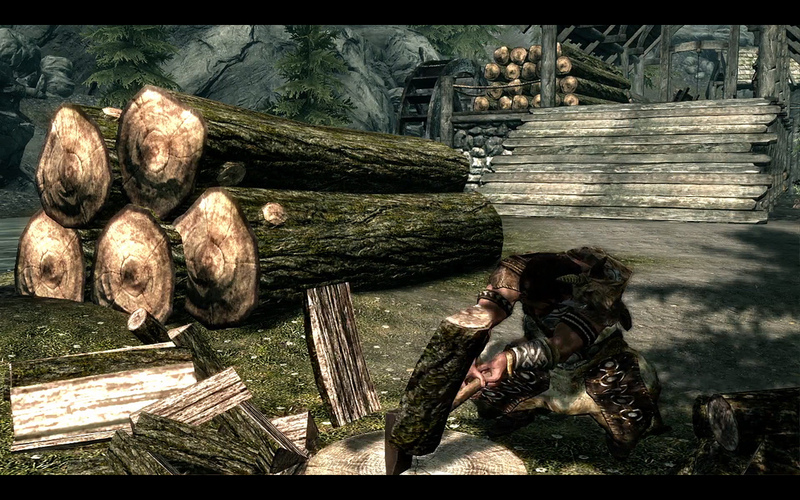 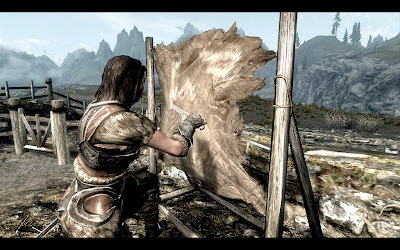 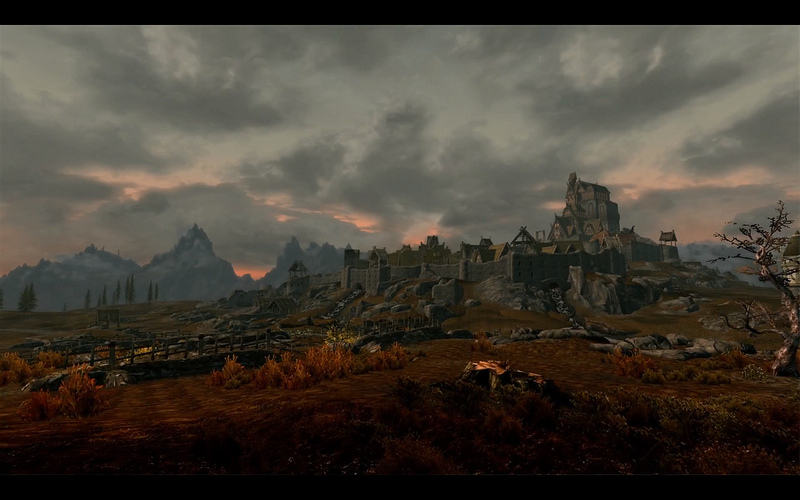 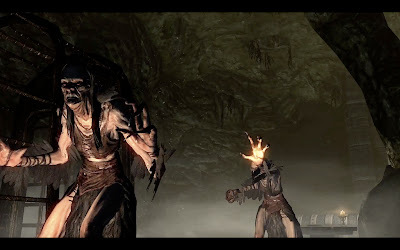 The topic of this day is new screenshots revealed within short "making of Skyrim" video preview. These screenshots were not presented before that video and can be found below. We can see the new alchemy set there as well as some other things you can do like brand new skill mining and then lumberjacking (not sure if you're able to craft your own arrows too?). 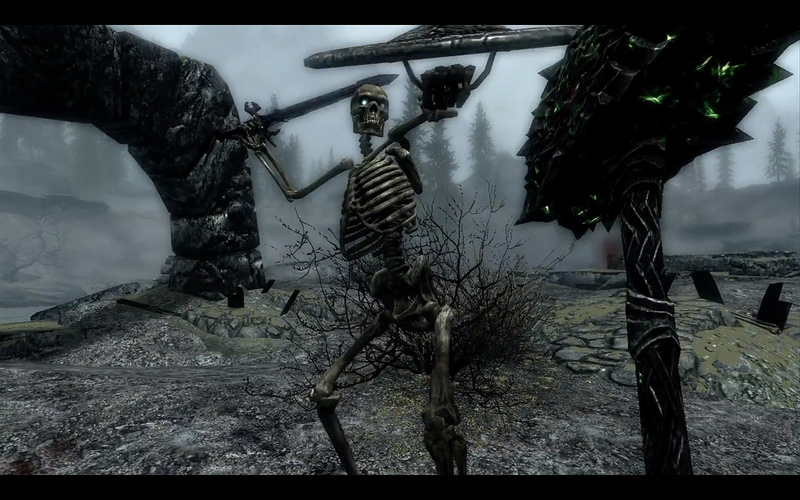 Assassination is done with more style in Skyrim than before with special moves now available to finish enemies. I still think biggest improvement in graphics are the monster and human "models" which look highly improved from Oblivion. 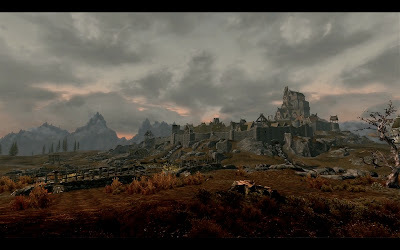 Some scenes show color palette to bee more vibrant - which is a good thing to bring the world less dull place and more alive. 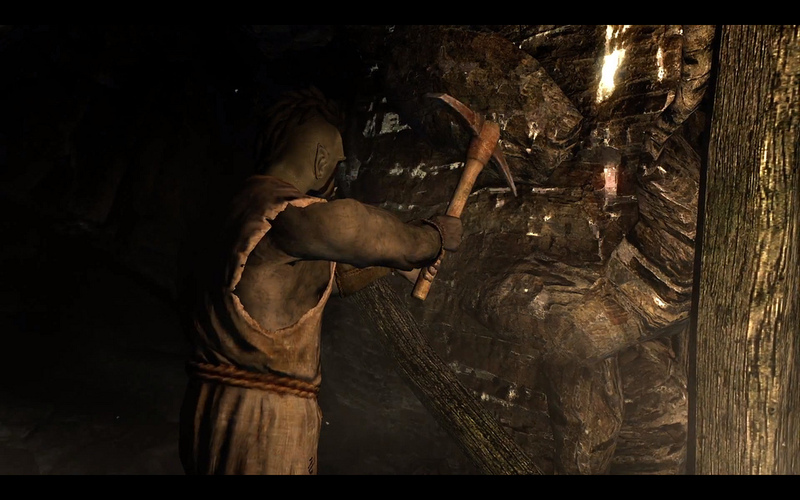 7 days to go. 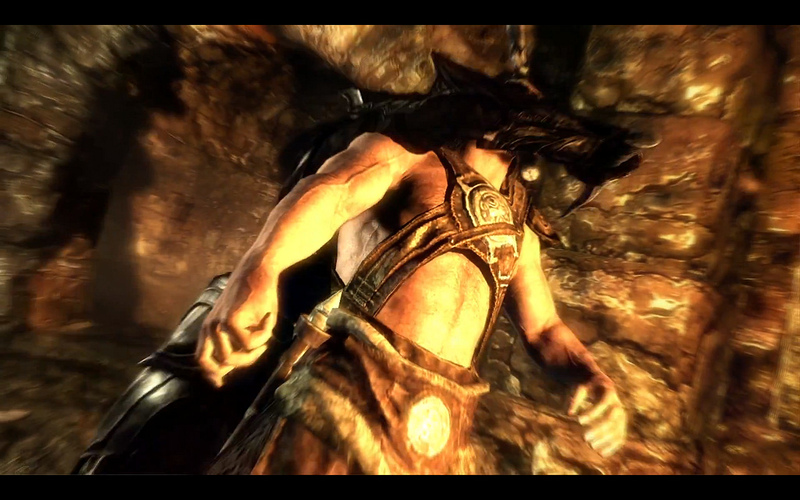 Stay tuned for more Skyrim countdown articles!